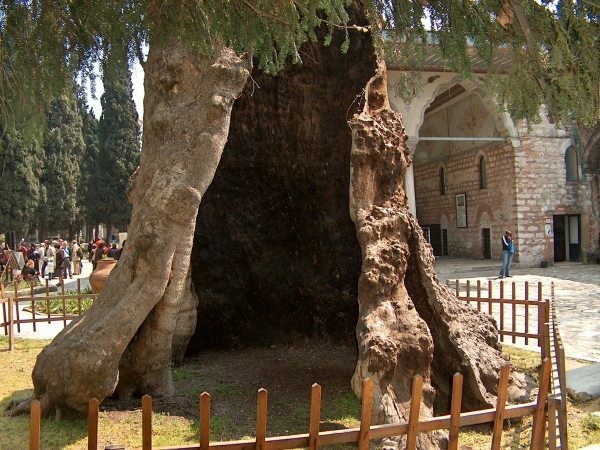 Devranzade Tahsin Aga, a prominent citizen of the region, owned a 17-decare property in the vicinity of Dalyan, granted to him by Mihrişah Sultan. Later, his grandson Tahsin Davran realised a life-long wish to sell the property as a part of the Land Reformation Act in 1940, shortly before his death. 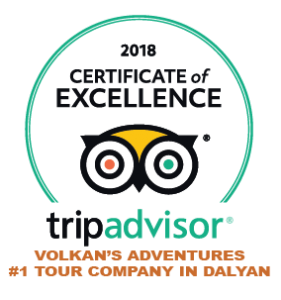 Ali Riza, the village head of the time, was instrumental in making the transaction so that 120 inhabitants of Dalyan shared titles in what became the beginning of Dalyan’s present land registry. Sea turtles have been living on earth for 110 million years, the human being, however, for only 2-3 million years. Of the eight species living in the world’s seas, five are present in the Mediterranean. It is estimated that only a limited number of individuals of the Leatherback Sea Turtle (Dermochelys coriacea), the Hawksbill Sea Turtle (Eretmochelys imbricata) and the Kemp’s Ridley Sea Turtle (Lepidochelys kempii) species enter the Mediterranean for nutrition or by mistake. The birth of a unique ecosystem consisting of Köycegiz Lake, the Dalyan River and Delta and the Iztuzu Beach is part of an ancient and great tale concerning the formation of the earth’s crust that started in the Mesozoic Era, 251 millon years ago, and continues today with the changes caused by terrestrial forces. 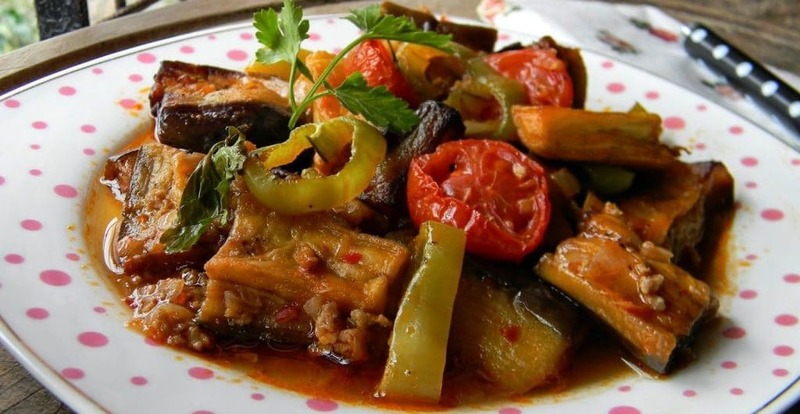 İmam bayıldı is a Turkish dish made from eggplant cooked with olive oil and filled with onions, garlic, and tomatoes and served at room temperature. 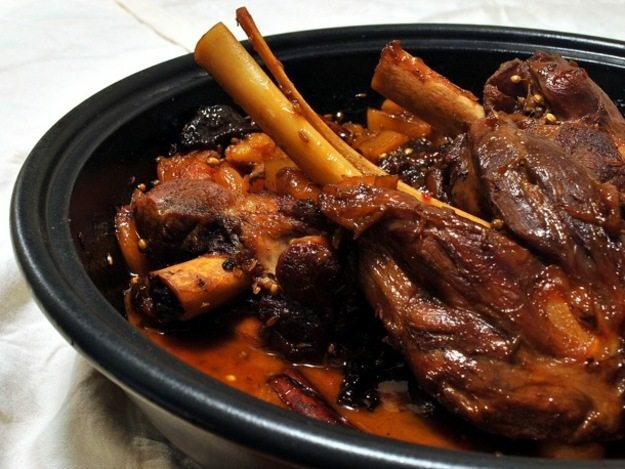 It translates as the “imam swooned,” suggesting that the dish was so delicious that the imam, or prayer leader of the mosque, fainted at the sight and taste of it. There are new batches of cherries in the markets at the moment. On our trip to Mugla this week I bought far too many. Now what to do with my glut of cherries? Baked Cherry Cheesecake is the answer. Ingredients 225 grams of biscuits (digestives are good but you can use any plain biscuits) 1 kilo of cherries (you can use a can of cherry filling) 115 grams of butter, melted 150 grams of sugar 600 grams of Cream cheese 130 grams of kaymak ( you can use whipped double cream 3 eggs Method Heat oven to 175°C. Crush your biscuits into crumbs. Use a sandwich bag a rolling pin. Melt the butter in a pan and then mix in the crumbs. Firm onto bottom of 9 inch spring-form cake tin. Mix together the cream cheese and 130 grams of the sugar in large bowl. Add the kaymak. Then add the eggs, 1 at a time. Make sure that each egg is fully blended before the next. Bake for 50 minutes. Leave to cool and then refrigerate for two hours. Stone the cherries and simmer with the remaining sugar and half a cup of water. 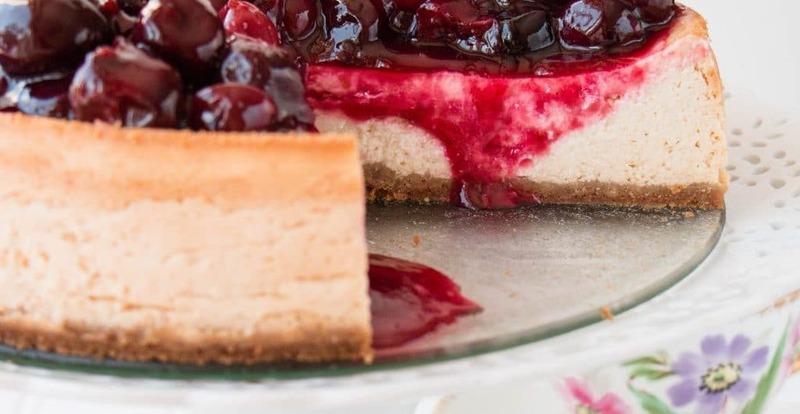 Once cool spoon the cherries onto the cheesecake. 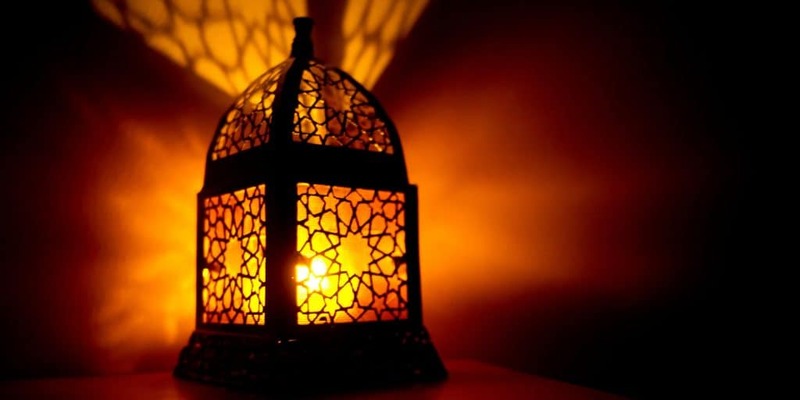 Everything you need to know about Ramadan: Ramadan is the most sacred month of the year for Muslims During the entire month of Ramadan, Muslims fast every day from dawn to sunset. 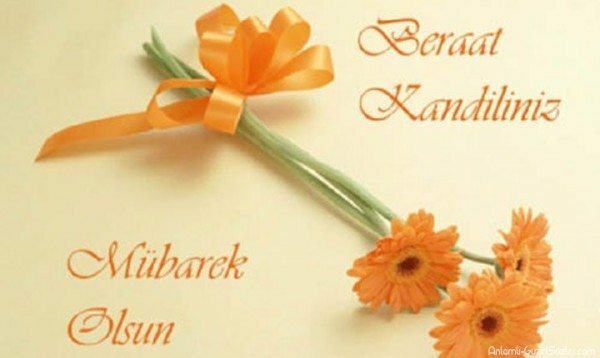 Many also pray more frequently, give more to charity and study the Quran more deeply. It is a time for families and celebrations. Hot cross buns – The only food I have missed so far! 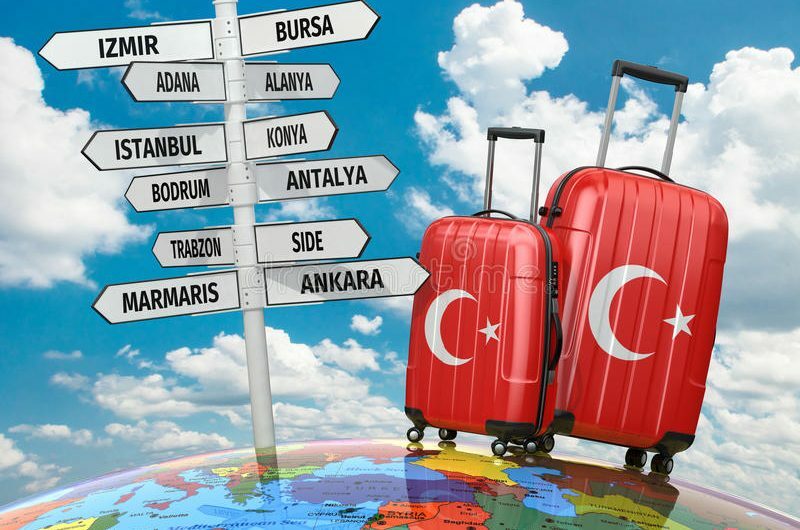 Turkish court has ruled for the suspension of Booking.com's activities in the country on Wednesday after the Turkish Travel Agencies Association (TURSAB) filed a lawsuit over unfair competition. 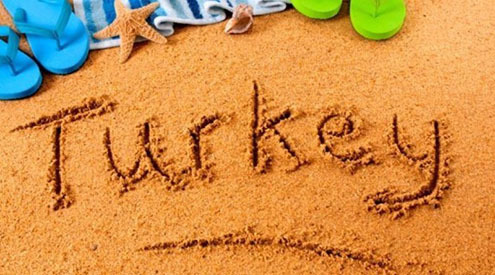 According to a statement released on TURSAB's website, Istanbul's 5th commercial court of first instance ruled in favor of the association, suspending the online hotel reservation website's activities as precaution against unfair competition. Unfair Competition In the first instance Booking.com may seem to be a positive arrangement for consumers. This is because when the consumer visits Booking.com, hotels rooms are easily reserved with the lowest price guarantee. 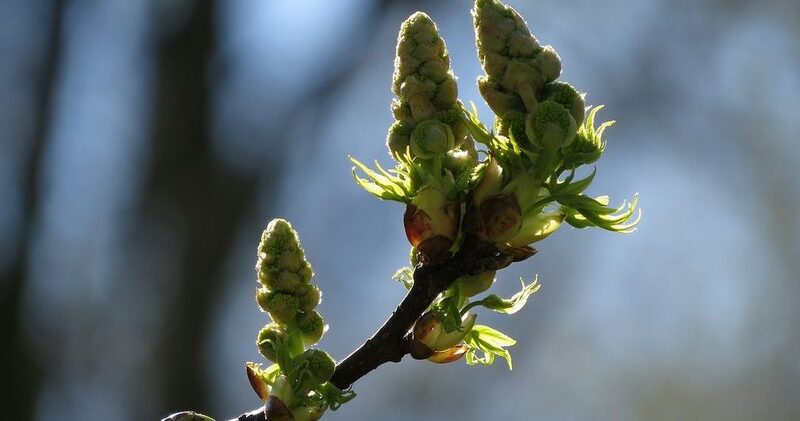 On the other hand, looking at the bigger picture, there may be different conclusions and, within that context, there are a number of facts that should be considered. For instance, whether these "lowest" prices that are applied in the Booking.com platform have the majority market share. As a consequence of this the accommodation facilities would be unwilling to offer lower prices direct to customers. Access to the website is expected to be blocked following the official court notice. This may seem a minor inconvenience. However we feel that this shows the Government is taking tourism very seriously. This will be good news for hoteliers and pansyon owners who struggle to compete with the might of Booking.com. 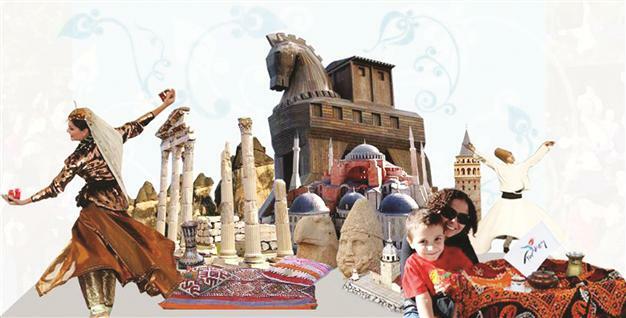 It also shows that the Turkish tourism industry is moving towards a more structured and professional era. Coupled with the new rulings for registering villas, standards and therefore, holidays will only get better. Booking.com will be reinstated once they begin to comply with the competition rulings. 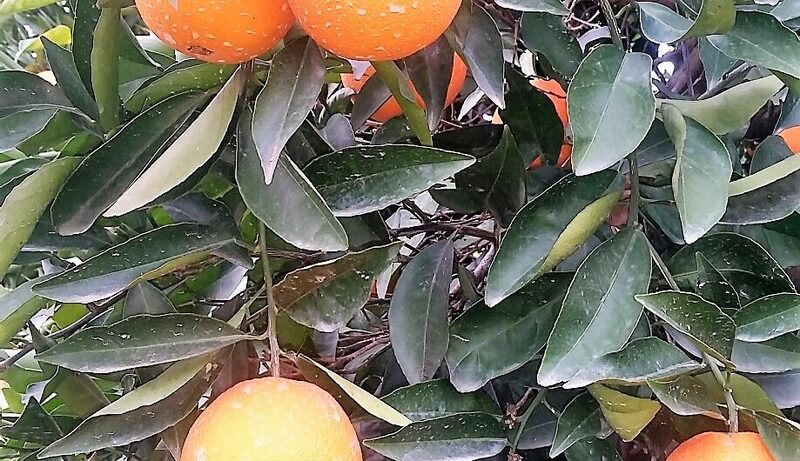 At this time of year there are hundreds of oranges in Turkey. Literally falling on the floor and rotting. So far I have marmalade, biscuits, rice pudding and sorbet! Now to try Turkish Orange cake......... Ingredients Zest from 5 oranges 4 eggs 1 cup sugar 1 1/2 cup flour Syrup: Juice from the 5 oranges 9 tbsp sugar Whisk the eggs and sugar util light and fluffy. Fold in the flour and orange zest. Pour into the oiled loaf cake mould. You can use a round baking tin but I find this better for the slicing. Preheat the oven to 180 F. It will take around 45 minutes to cook. Check that a knife comes out clean when pricked into the cake. Once cooked remove from the mould and leave to cool on a wire rack. In the meantime, mixed together the orange juice and sugar and bring to the boil for 2 minutes. Slice up the cake and place on a plate. Spoon the syrup over all of the slices. Cover and keep in the fridge. The cake will easily last for 3 or 4 days if covered but I guarantee it won't hang around that long! 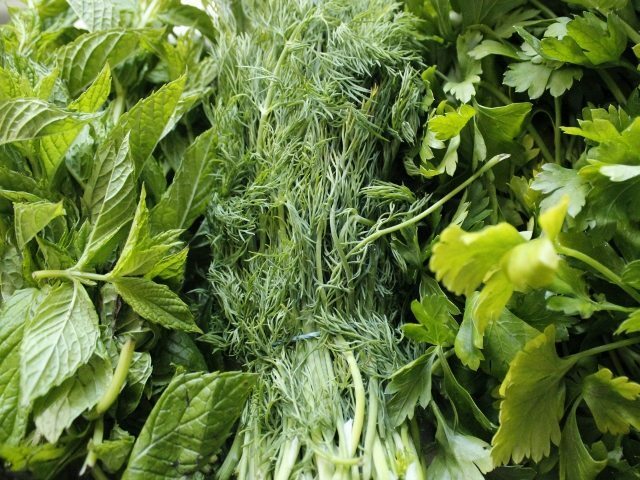 Turkish herbs – What can I eat? If you fancy going all out on pancakes today then try these gozleme as your main course followed by yet more pancakes. You can kid yourselves that you are being healthy before you ruin everything with lots of sugar, chocolate spread and maple syrup! 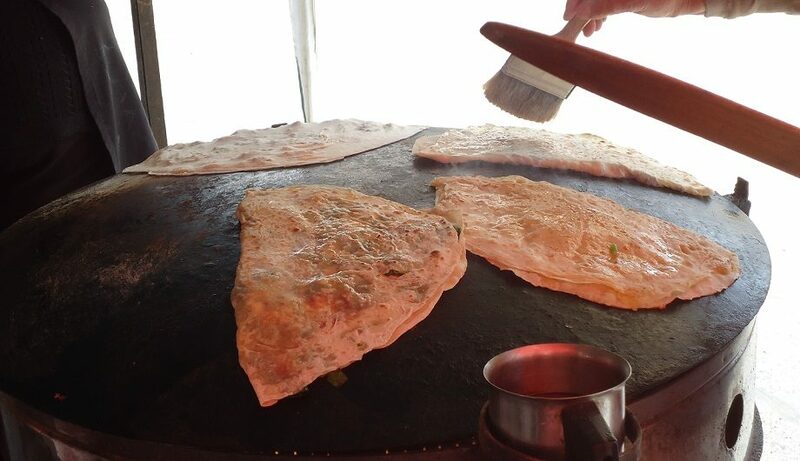 To enjoy authentic Turkish gozleme you can try them on one of our market trips. 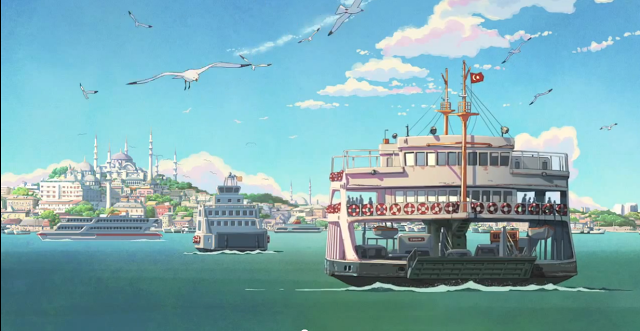 Mugla, Koycegiz and Fethiye all have pancakes ladies cooking all day. 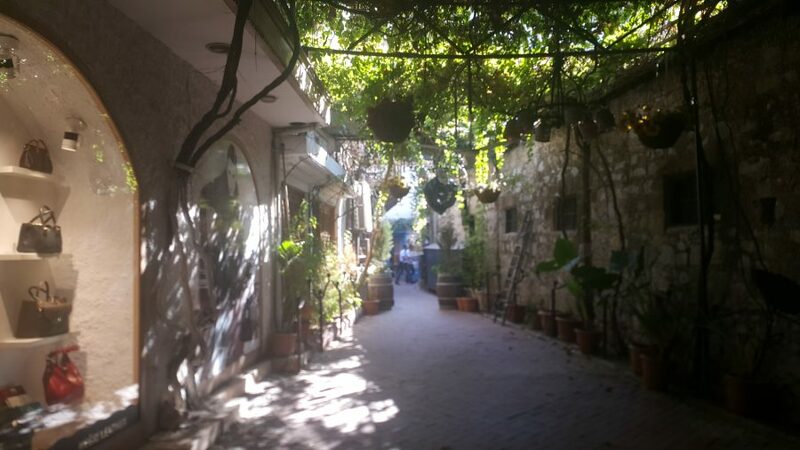 Wandering around in the sunshine eating gozleme is a perfect holiday experience. Or try making your own on the Village Life trip. Ingredients 4 cups plain flour 1 tsp salt 1 1/2 cups warm water Filling Oil 1onion, finely chopped 1 tsp chilli flakes 2 cloves garlic, crushed 1 tbsp ground cumin 1 tbsp sumac (you can find sumac in most supermarkets these days, definitely Sainsburys and Waitrose) 500gr lamb mince 200gr feta 150gr spinach Handful of chopped flat leaf parsley Directions Mix together the flour and salt and then gradually add the warm water. You should end up with a firm dough. Knead dough for about 5 minutes until it is smooth and feels elastic. Return to the bowl and cover with a clean tea towel or clingfilm to stop it drying out. In a large pan fry the onion and garlic in the oil. Cook until golden brown but be careful not to burn. Add the spices and cook for another minute or so. Add the mince and cook until nicely browned. Return to the bowl and leave to cool for 15 minutes. 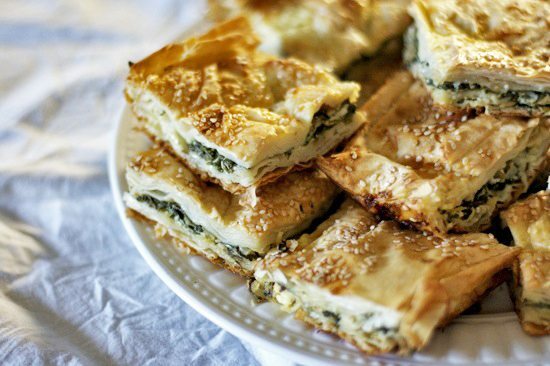 Add the feta cheese, parsley and chopped spinach and season. Be careful with the salt, the cheese can be very salty. Divide dough into 6 pieces and roll out. You want the pancake to be roughly 30cm. It doesn't really matter if you go for squares or circular. Spread some of the filling over half of your pancake. 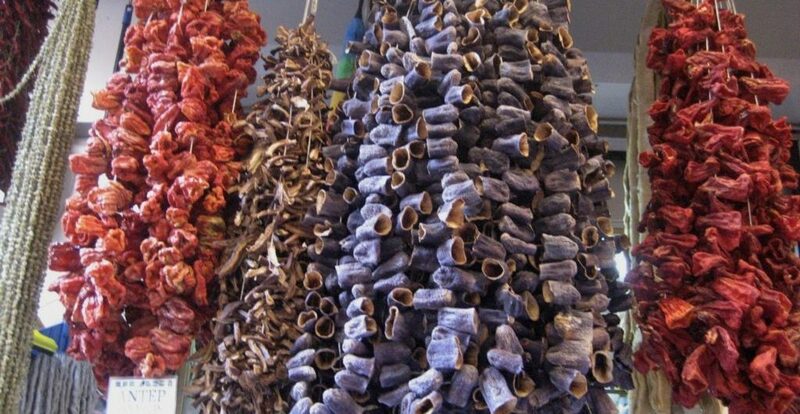 Ever wondered what those dried things are that hang outside shops and in the market? Dried aubergine shells, is the answer. I hadn’t really taken much notice of them but I decided to explore and experiment! I have included a Turkish recipe below but these dried aubergines are fantastic as a carb free cannelloni substitute. 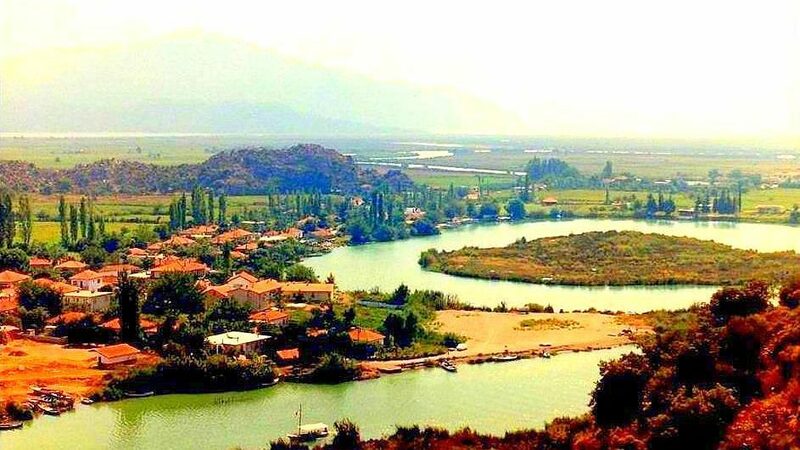 The busy town of Fethiye is only an hour away from Dalyan. It is situated in a pretty bay surrounded by steep mountains and pine forests. Within the bay there are numerous islands, perfect for sailing around. Fethiye The town is rich in history with similar Lycian Rock tombs to Dalyan. 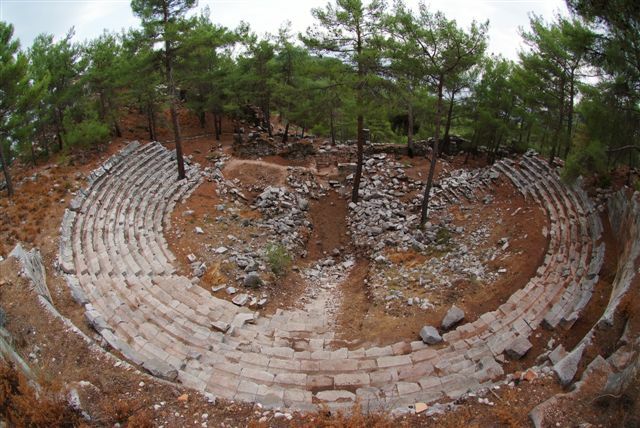 Fethiye was known as the ancient city of Telmessos. An excellent but small museum situated just off the main street. 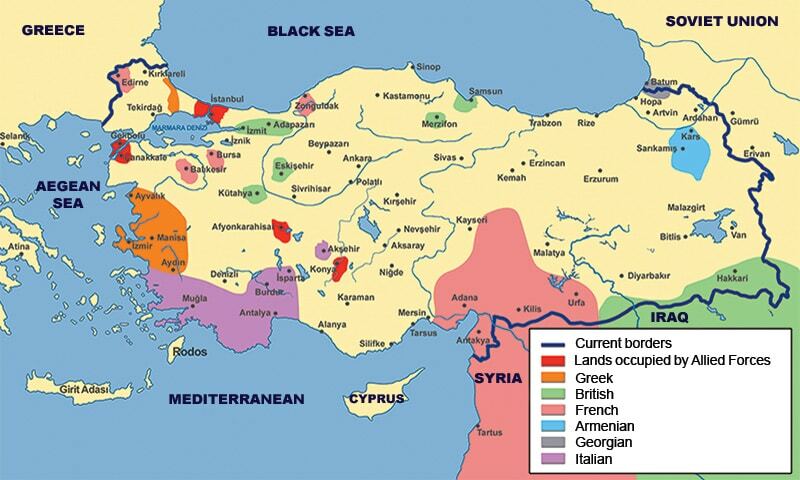 Pieces include Lycian pieces from the Bronze, Archaic, Hellenistic, Roman and Byzantine times. The outdoor area shows how much history there is. Piles of artifacts that are still waiting to processed. It's a great place to explore. The Market On Tuesdays there is a large market. Selling everything from fresh fruit and vegetables to clothes, handbags and shoes. There is also a very picturesque old bazaar. If you want something different this is the place to come. There are tiny art shops, jewelers and quaint clothes boutiques alongside little cafes. The prom is perfect for wandering along, admiring the boats and a spot of people watching. Just out of Fethiye, within the bay, the scenery is spectacular. Sweeping forests cling to the mountains and the best way to arrive in Fethiye is by boat from Gocek. You will reach your desination refreshed and relaxed before hitting the shops! 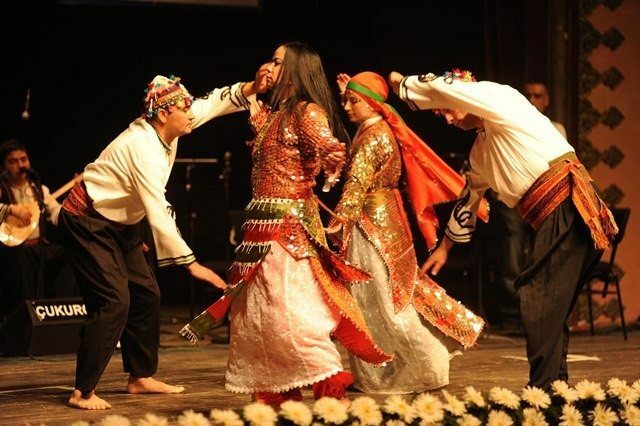 The Yoruk people of Turkey have traditionally been shepherds that migrate between the mountains and the coast. Today many now live in houses but still have dwellings in both areas. Migration In winter, they drive their flocks down to the coast where the weather stays warmer and there is more food available. Whilst in spring and early summer, they head back to the mountain pastures where it is cooler. As a result, in some areas this move will take up to a month. Once the clan elders have decided to move and the day is picked the women will prepare food for the trek, the men will prepare the animals. The majority of the Yoruks will walk the journey but children and the eldery will ride the horses, donkeys or camels. 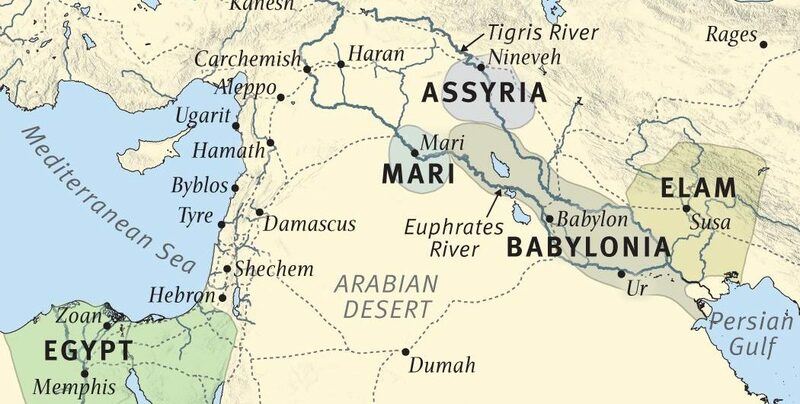 The same route is taken year after year. The knowledge handed down through the generations. 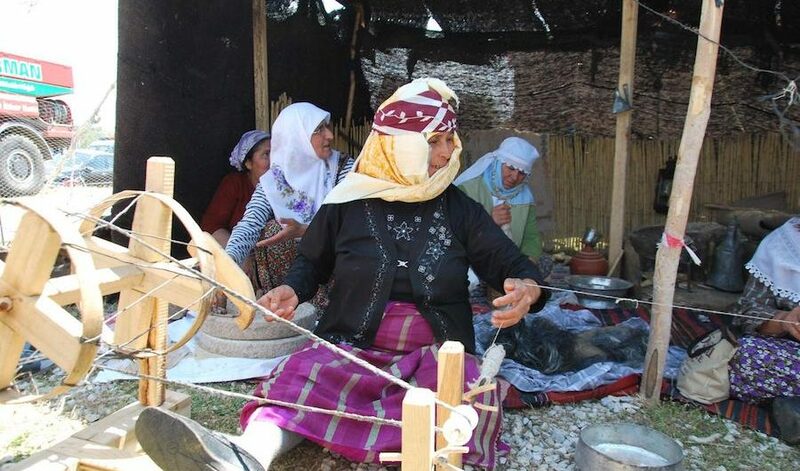 Women have a vital role in the Yörük lifestyle. They manage the tents, milk the animals, care for children, the elderly and the sick animals. They spin and dye the wool, making elaborately coloured garments for themselves but also to sell. The men predominantly guard and tend to the flocks. Due to the remote locations they are often accompanied by huge Kangal sheep dogs. These large beasts were originally bred to save the flock from wolves and leopards. That should give you some idea of the size! One of the most impressive sights is a Yoruk wedding. Often the grooms family will carry the dowry through the streets, to the brides family, on the back of a camel. This is followed by much merriment and hours of dancing. 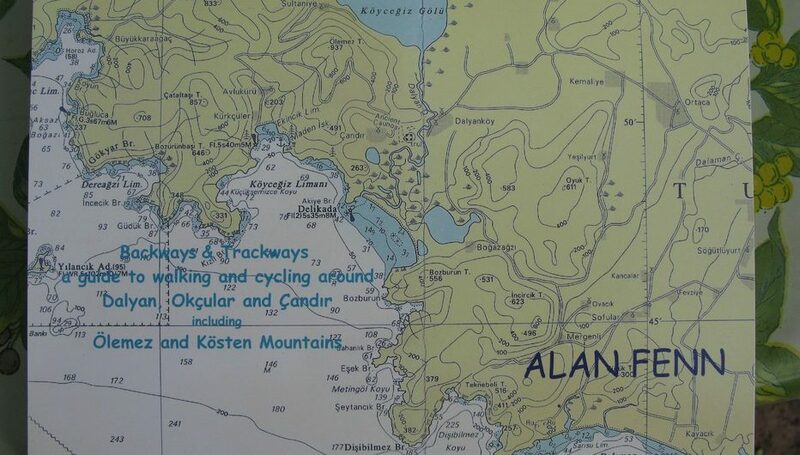 You can meet and learn about Yoruk people on our Kapidag trips: Kapidag Trekking and/or Kapidag Camping. 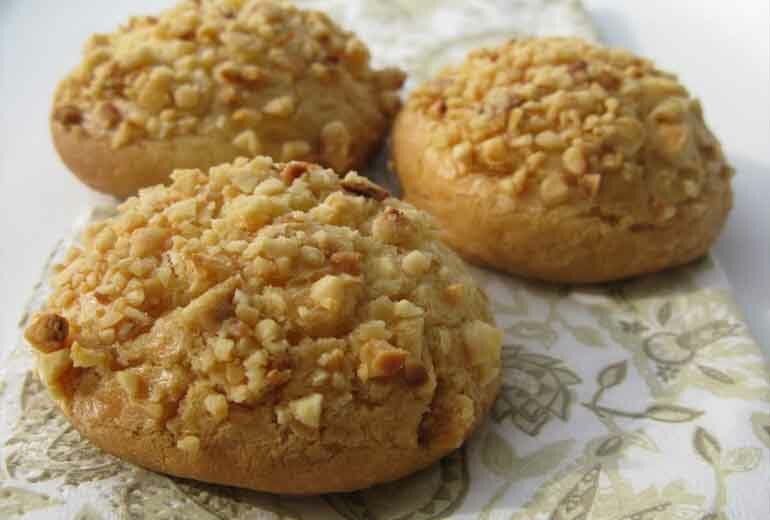 These hazelnut biscuits are delicious with a cup of çay or coffee. Store in an airtight box they will keep for a week. As long as you can resist! 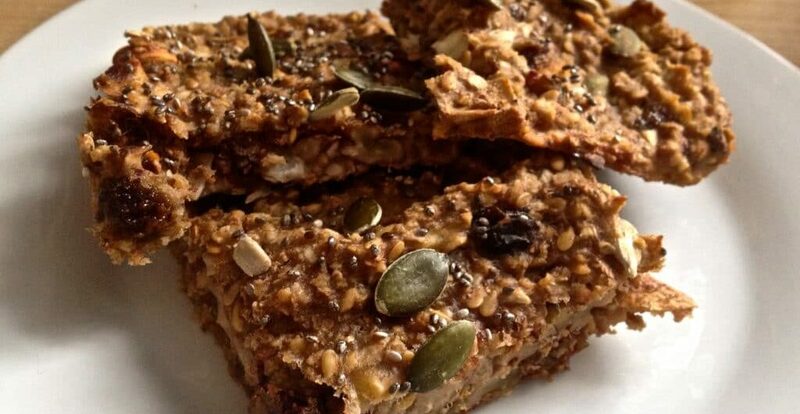 Ingredients 250 g salted butter 350 g caster sugar 2 eggs 300 g plain flour 2 tsp baking powder 50 g ground almonds 4 tbsp hazelnuts, finely ground 1 tbsp tahini Method Preheat the oven to 180°C/gas mark 4Mix the butter and sugar and together and blend until smooth. into a food processor or blender and blend until smooth. Add the flour, baking powder and almonds. Mix together. Add half of the hazelnuts and the tahini. Peanut butter would substitute. Roll into small balls and place on the baking tray. Press lightly with a fork to spread. Then sprinkle on the rest of the hazelnuts. Bake for 10–12 minutes until golden. Remove from the oven and leave to cool. 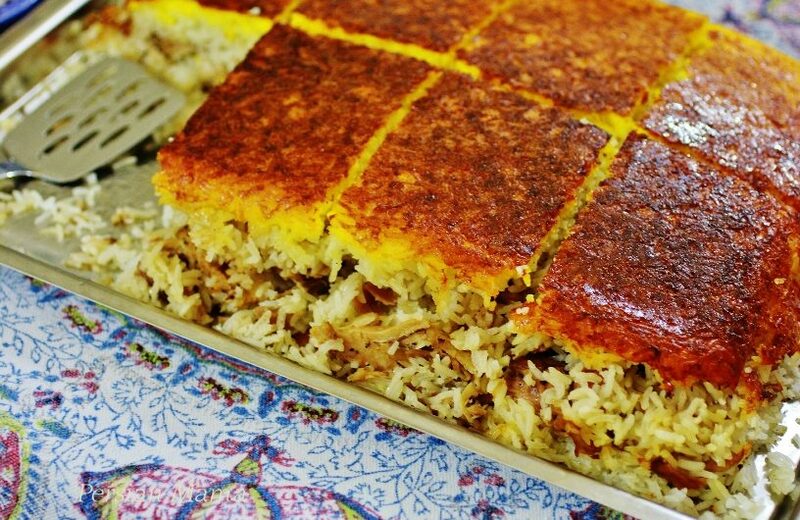 This recipe for Wedding Pilaf, Perde Pilaf, comes from the south east of Turkey. Roughly resembling a house, the final shape of the dish is meant to symbolise the building of a new home. 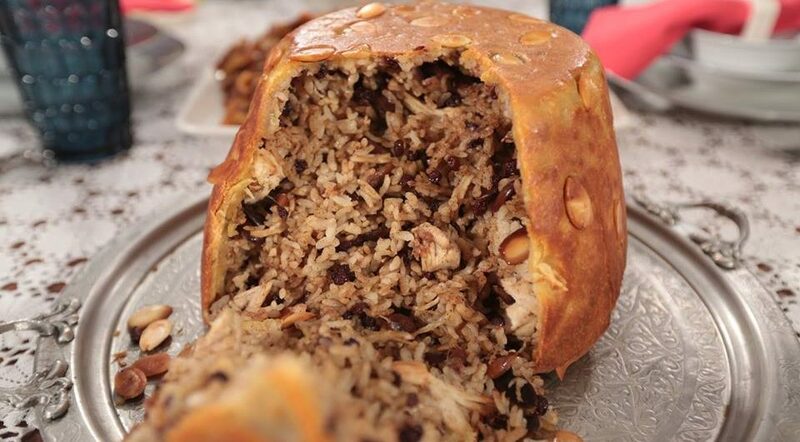 The dough is filled with a variety of nuts, herbs and spices and chicken. 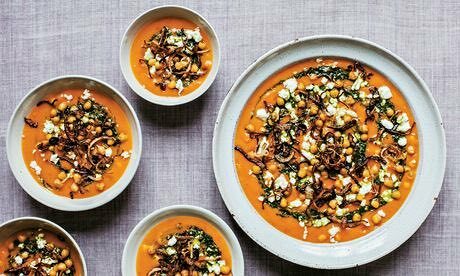 Within the family the making of this celebratory dish falls to the women, they gather together and assemble the dish before the wedding dinner.